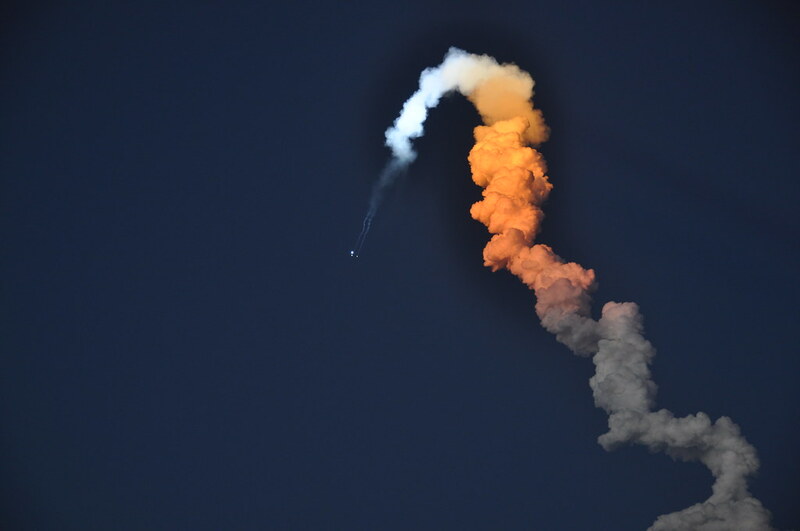 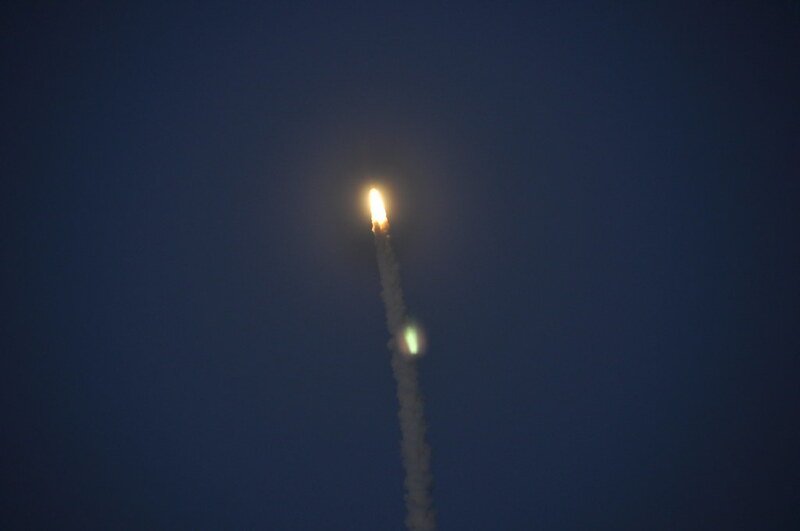 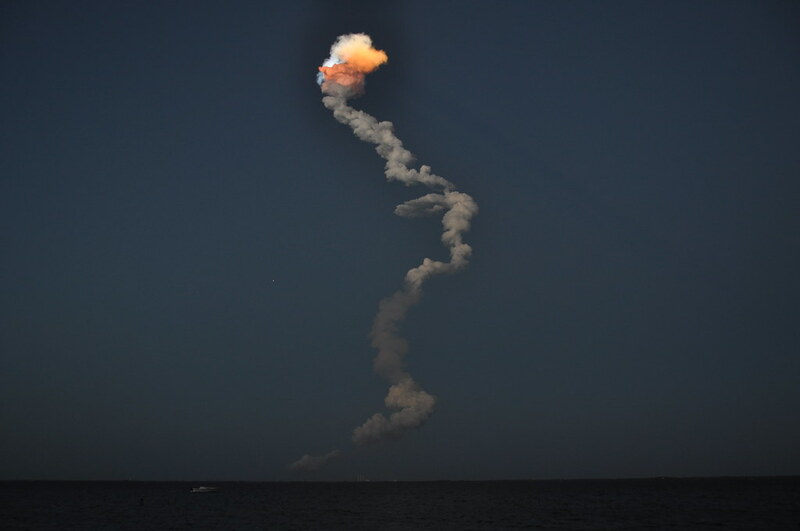 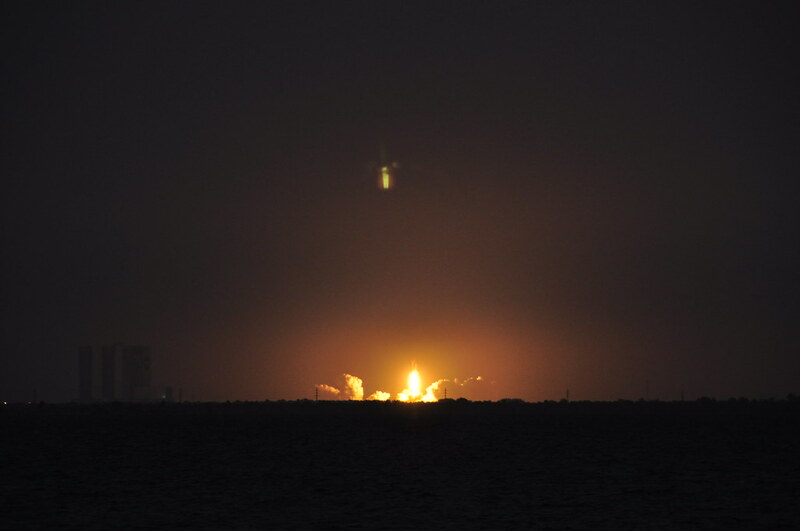 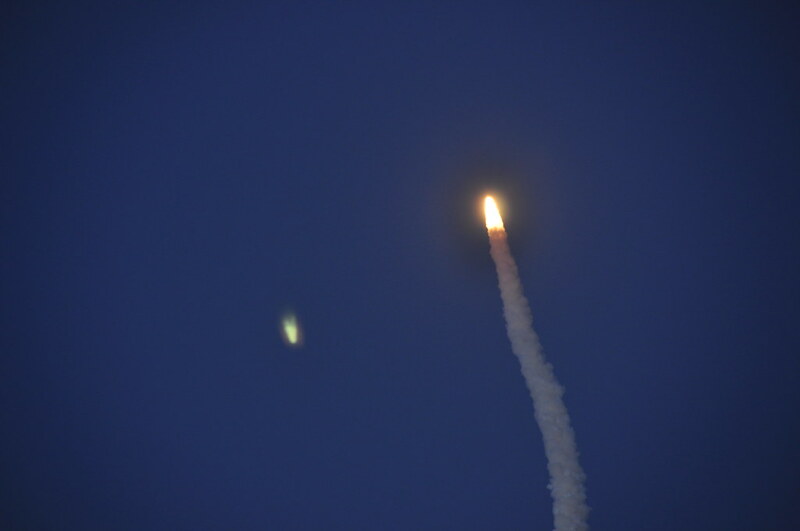 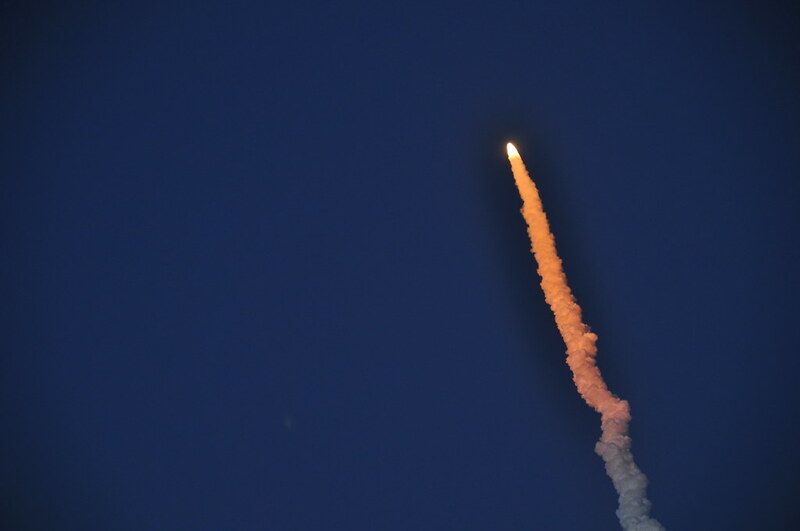 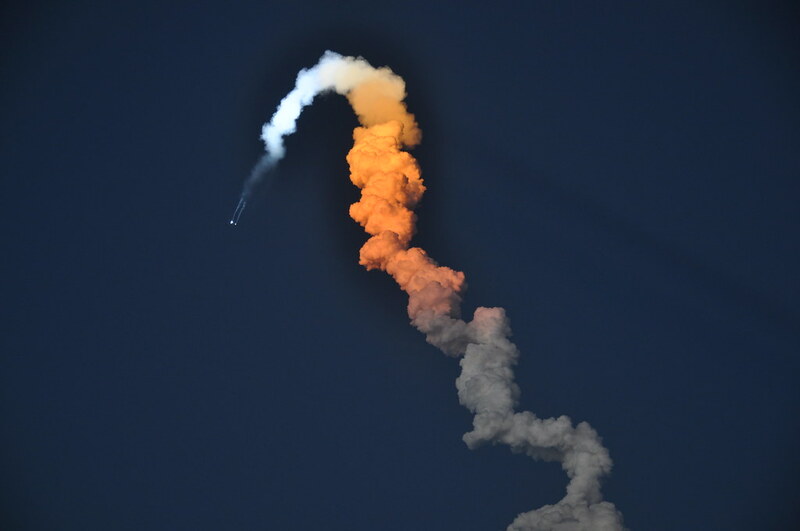 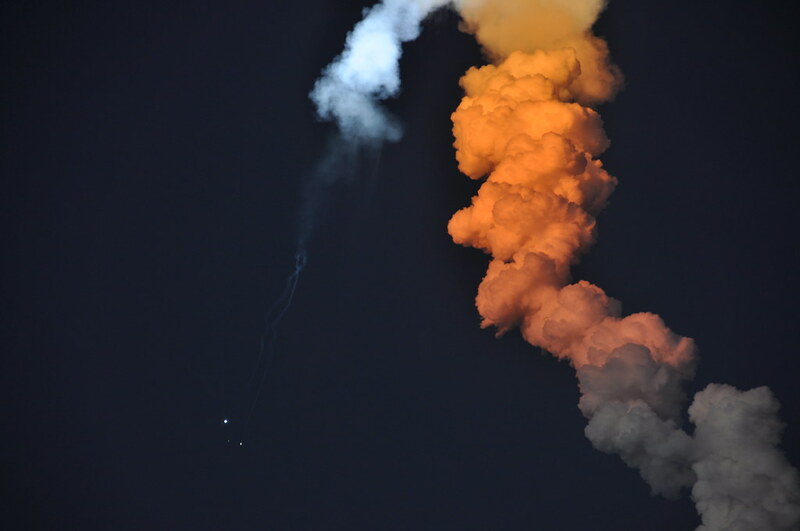 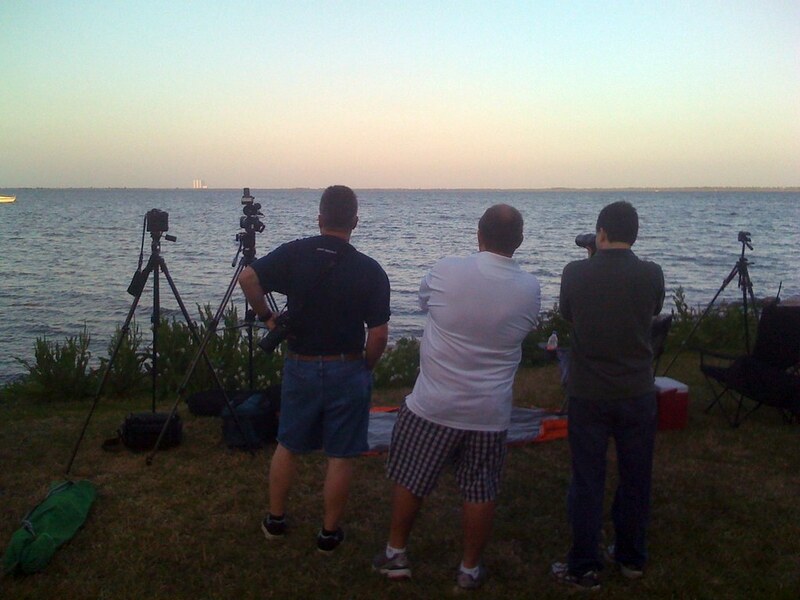 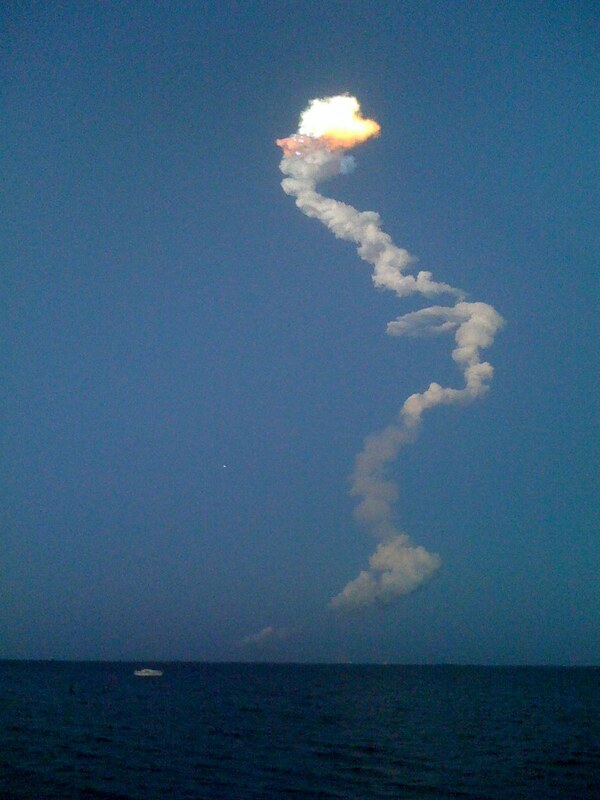 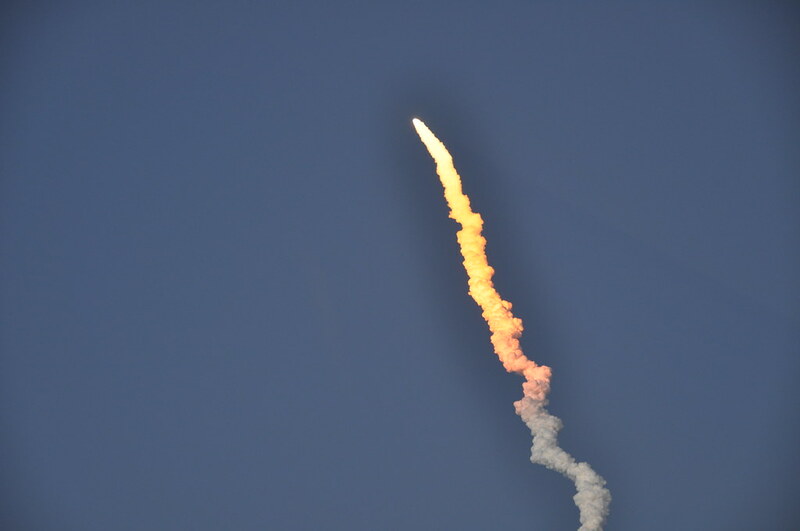 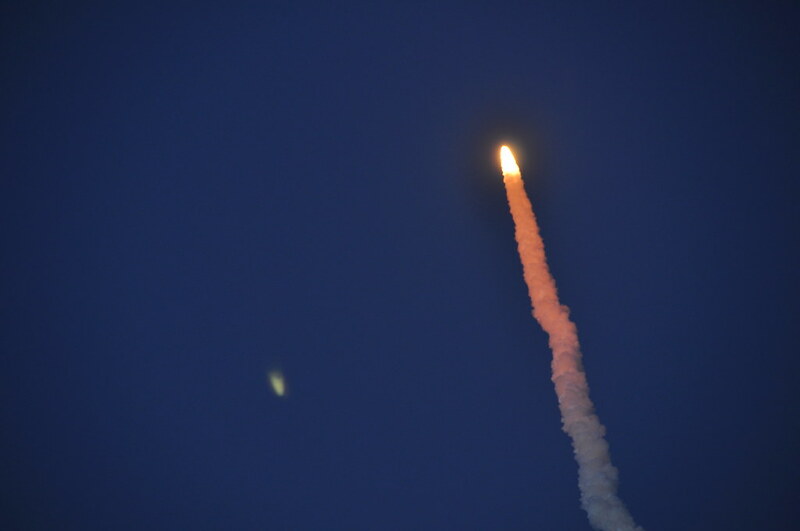 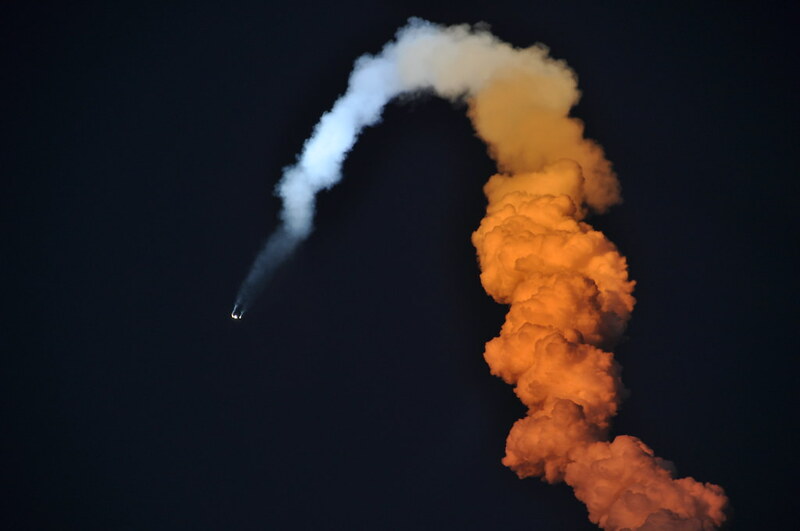 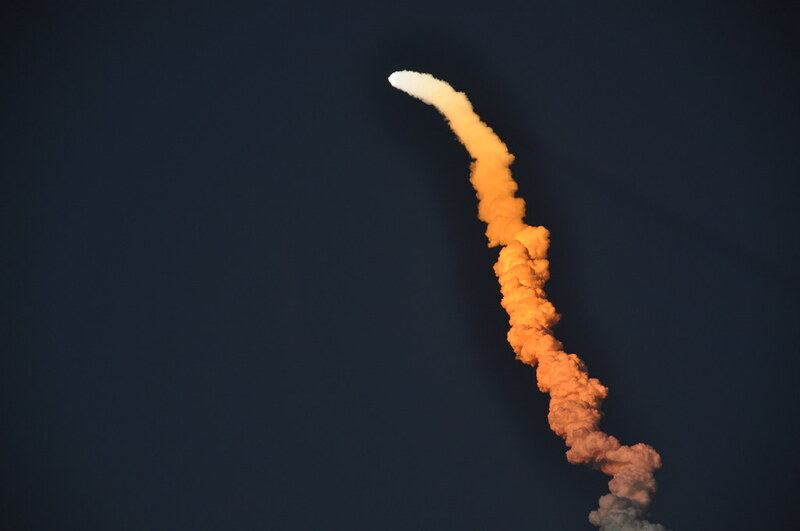 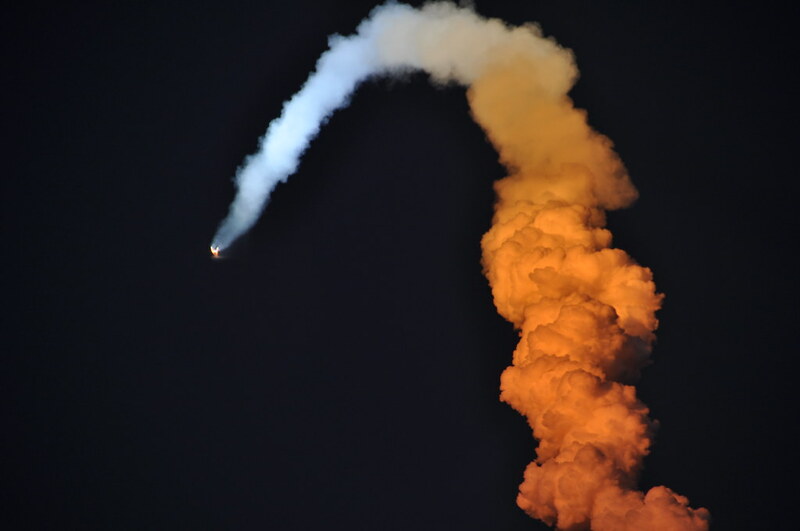 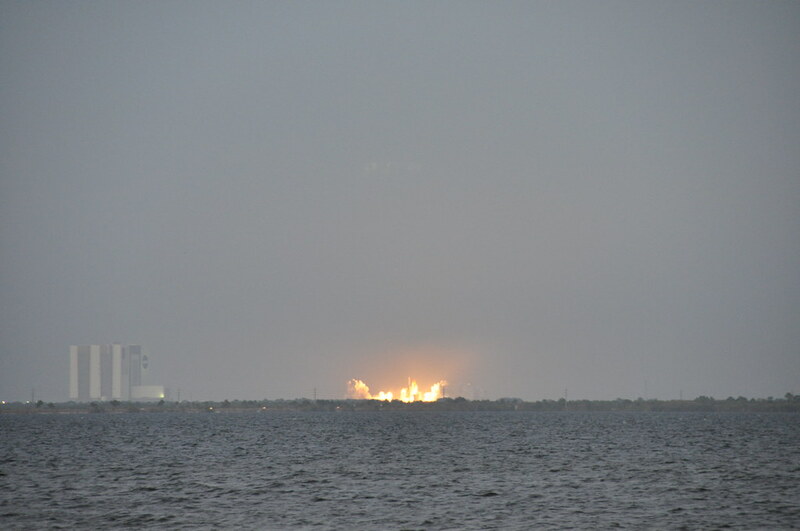 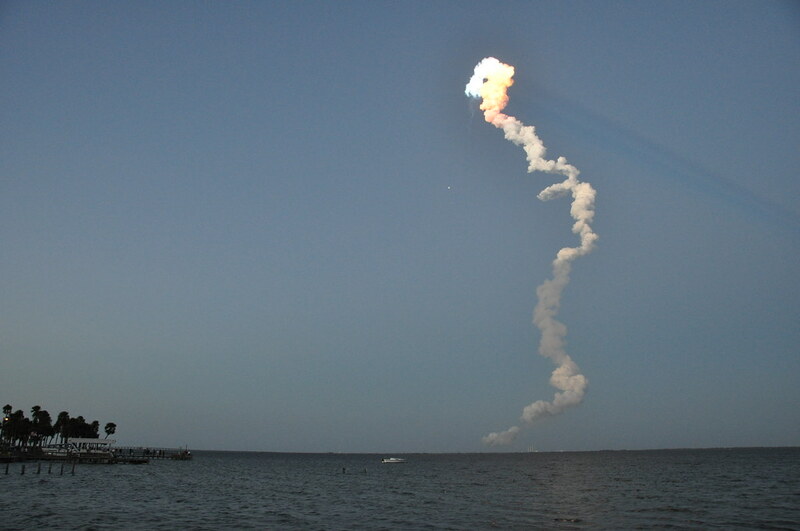 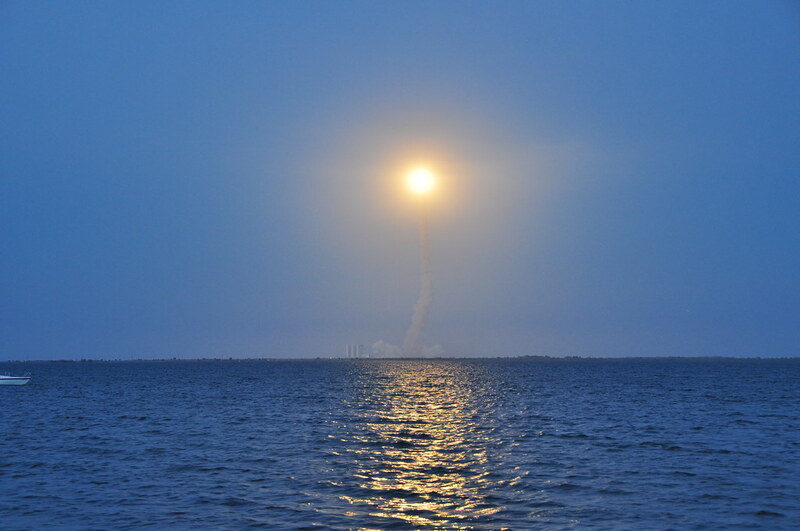 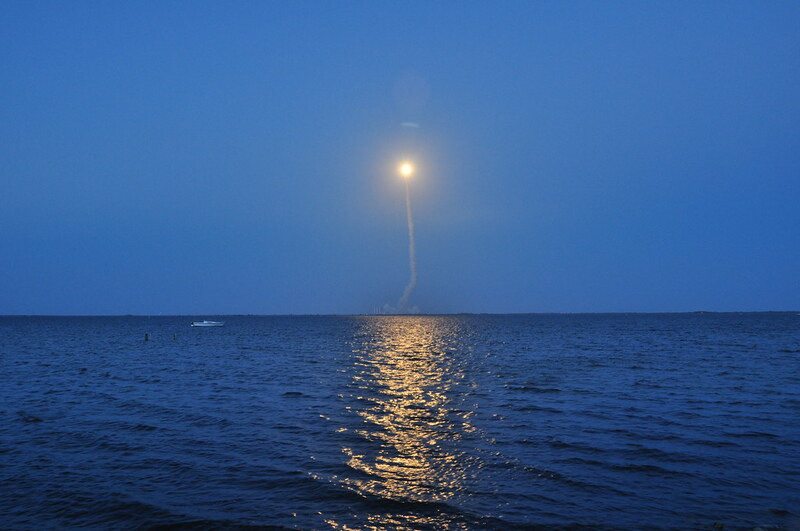 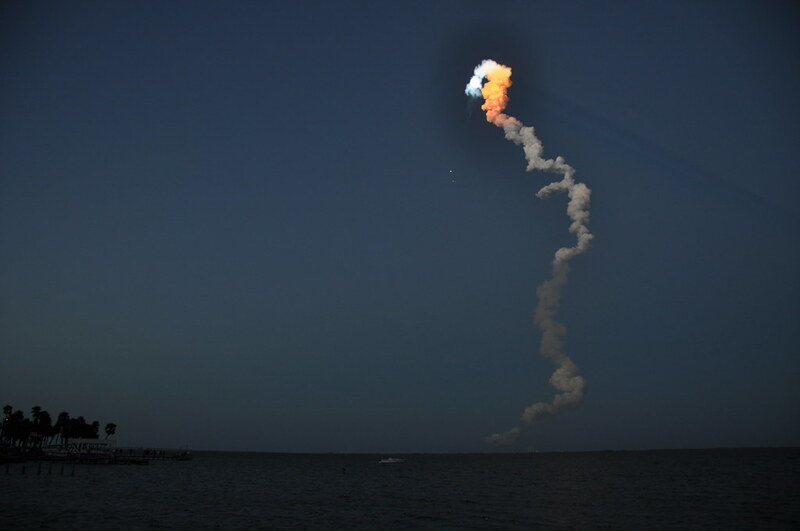 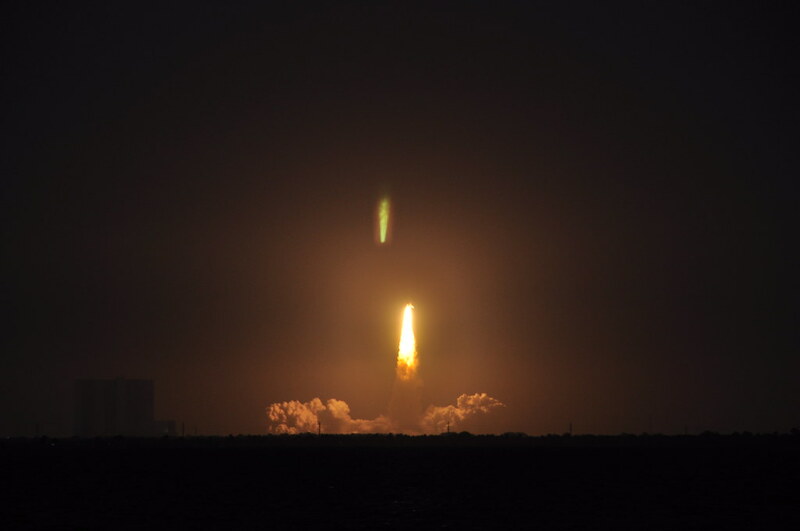 Spectacular launch just after sundown. 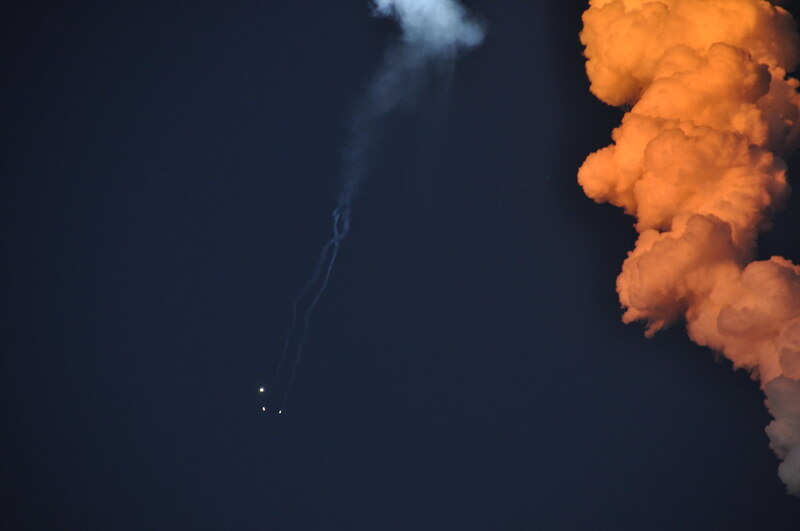 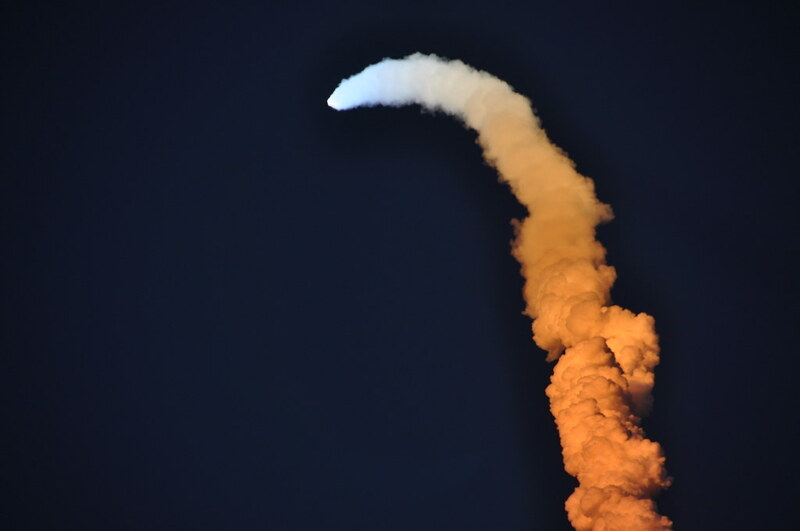 After a few moments, the orange beams from the sun illuminated the upper portion of the smoke trail, and then turned white as the shuttle climbed even higher. 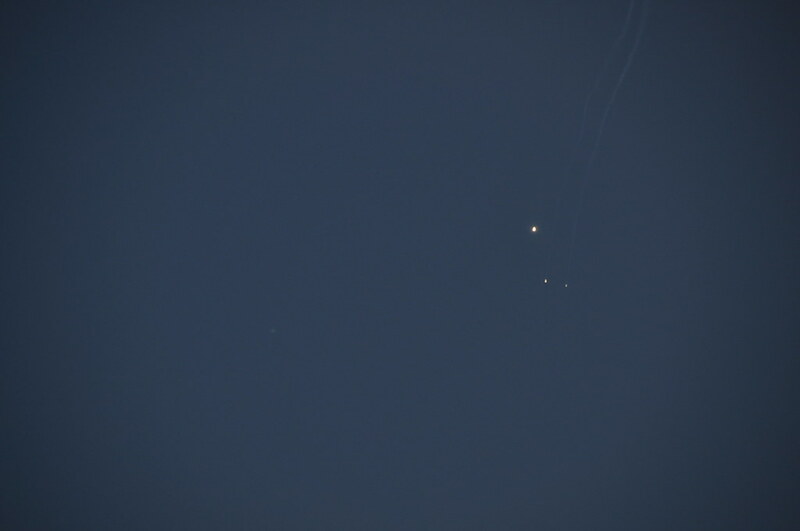 Sorry for the weird reflection of the bright light in my camera lens. 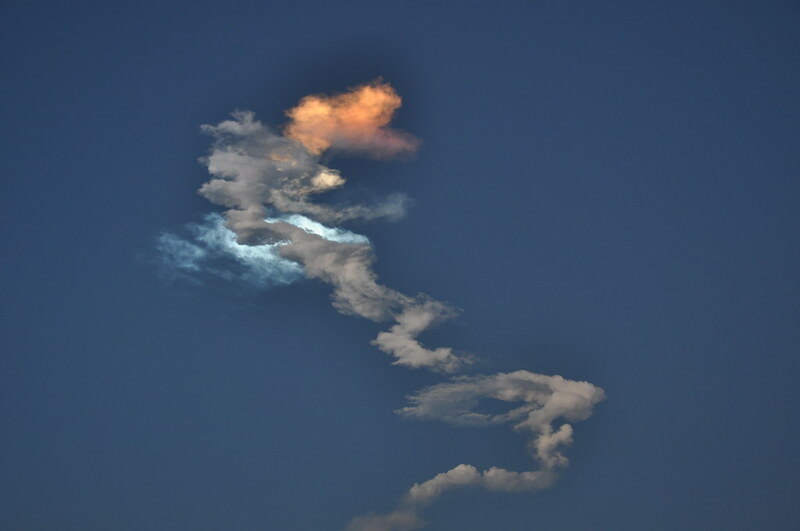 Kinda strange. 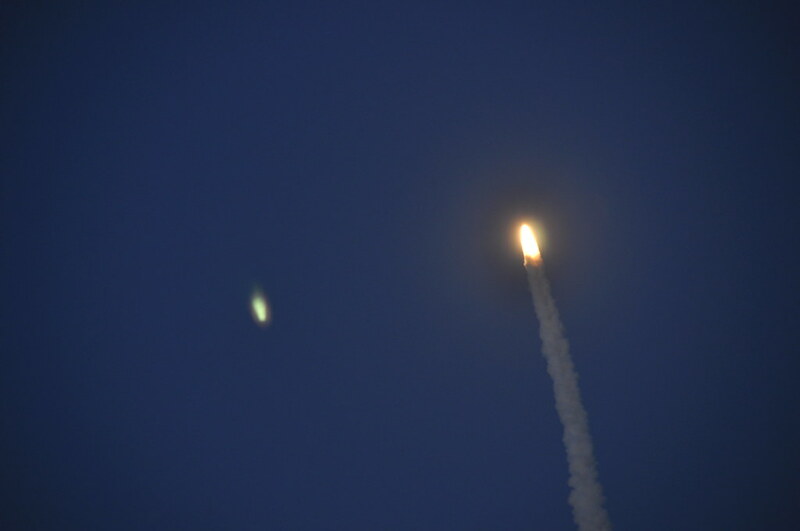 More camera lens oddity—what is the dark halo around the smoke in these shots? 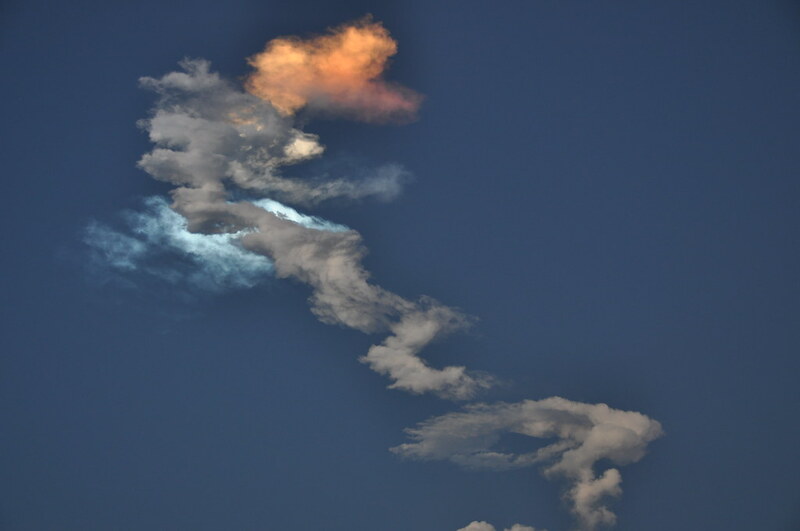 Check out the shadow streaming off the smoke trail! 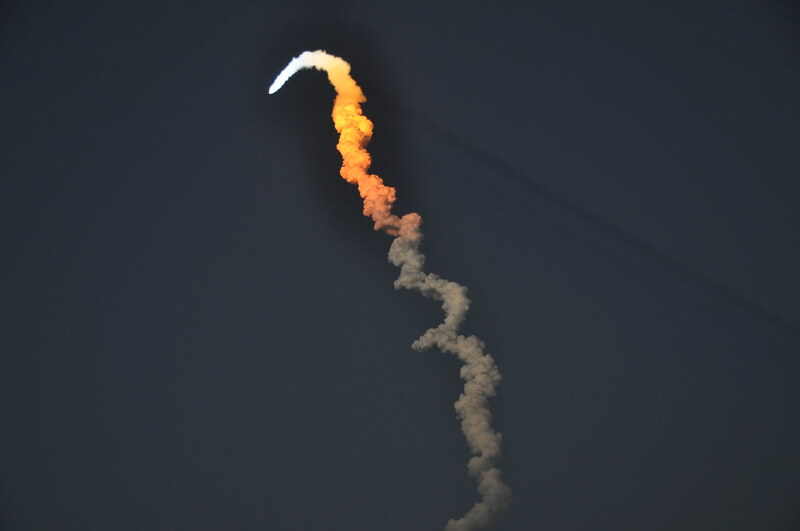 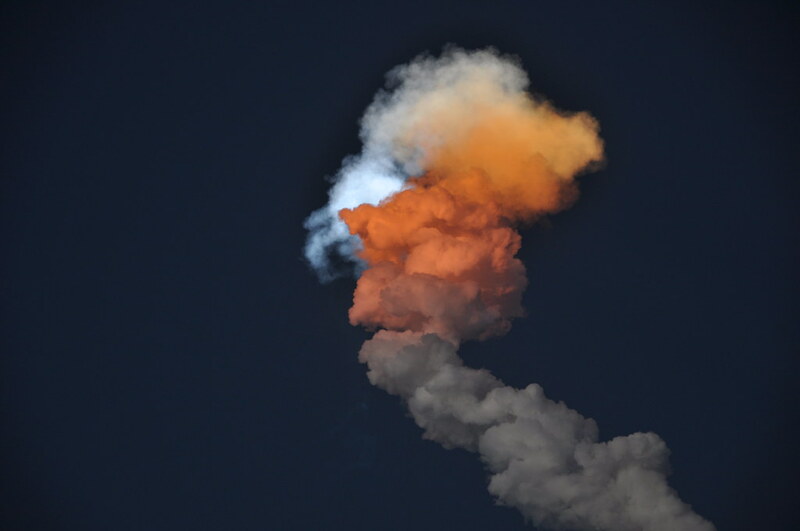 Now the shuttle is high enough that the smoke trail has risen above the golden sunset tones and the brighter white light illuminates the smoke. 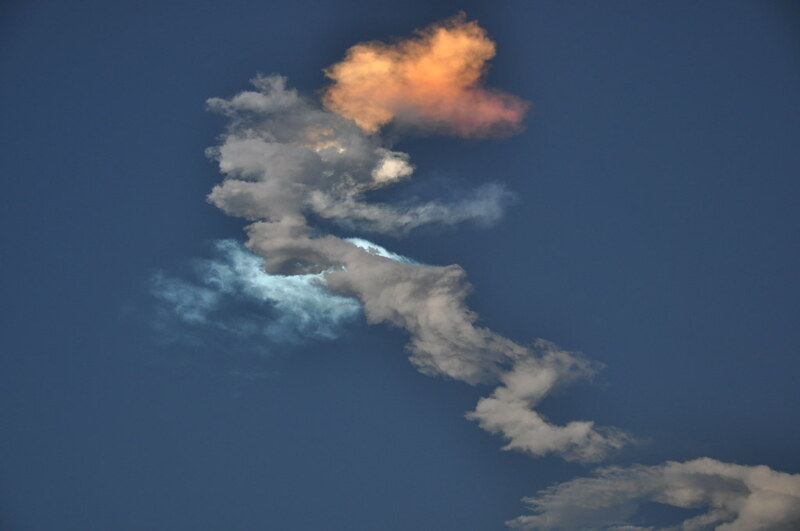 Sun shining on the upper side of clouds. 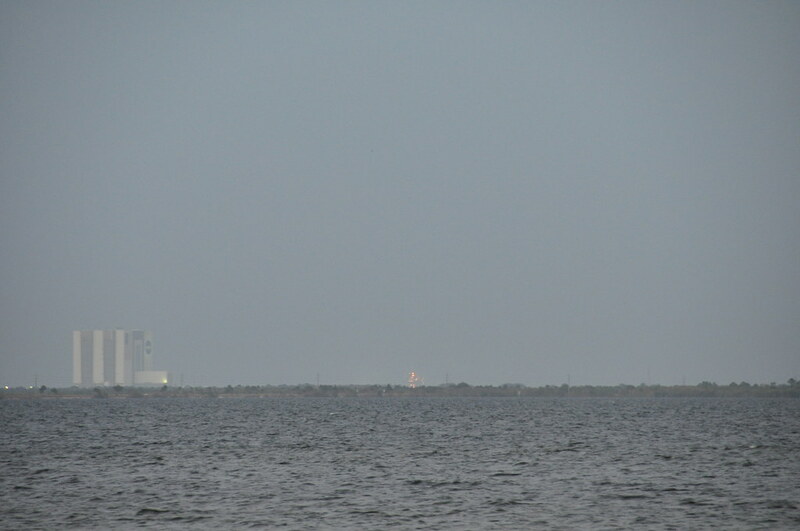 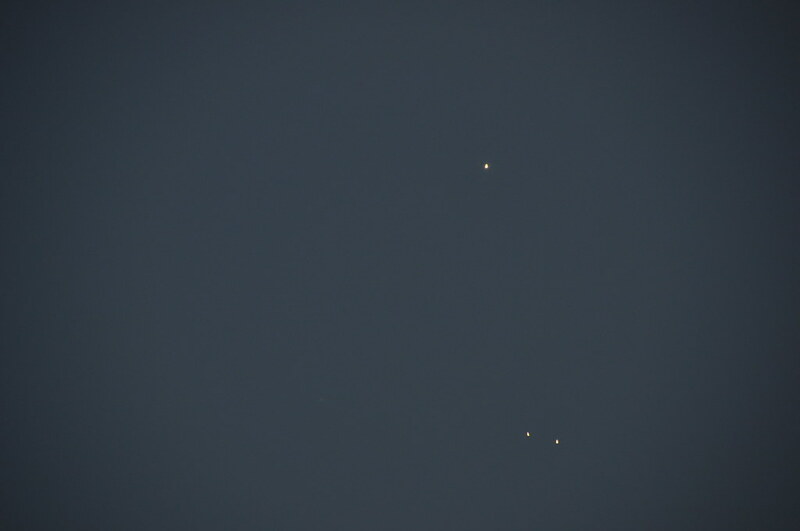 You can still see the shuttle in the lower left.